welcome to Food 4 Kids Emerald Coast! Welcome to Food 4 Kids Emerald Coast, an outreach backpack program for chronically hungry elementary school children in the Emerald Coast area of Florida. To raise awareness and be the voice in our community regarding the needs of our chronically hungry elementary school children, regardless of ethnicity or social background. Every child must be given the equal, God-given right to receive proper, sustained nourishment in a dignified manner, with child-friendly, easily-consumed foods throughout the school year and beyond. 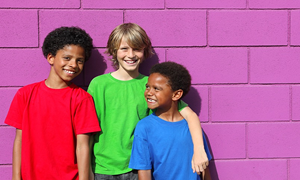 Establish a solid foundation that will enable these children in our communities, to overcome anxieties, reduce absenteeism, increase self-esteem in raising their academic performance, through the support of faith-based organizations, private businesses and the general public, who will help with this important outreach. Food 4 Kids Emerald Coast is proud to be affiliated with Myrtle Grove Baptist Church. 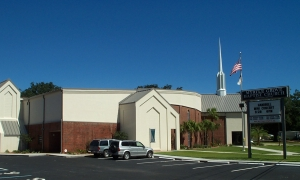 Myrtle Grove Baptist Church is located at Lillian Avenue in Pensacola, Florida. Everyday life is filled with challenges. There are all kinds of potential obstacles that come our way: relationships, jobs, kids, finances, personal health....there is plenty of stress to go around! Myrtle Grove Baptist Church invites you to join them for encouragement and support as we travel through life together. Since 1930, God's people have been meeting together at MGBC! From that start, seventy-nine years ago, a strong and dynamic church family has developed. Food 4 Kids Emerald Coast is an out reach backpack program for chronically hungry elementary school children. ... the school breakfast and lunch may be the only consistant meals our students eat in a day. Mr. Koomen and the caring congregation of MGBC pulled together and made sure our most needy students had food over the weekends. It has really taken the burden off my shoulders to not have to struggle with what my children will have to eat over the weekends. © 2013 Food 4 Kids.